Marvel’s Immortal Hulk is bringing several important characters from Hulk’s supporting cast back into Bruce Banner’s life. His old enemy, the Leader, reemerged. He made contact with his ex-wife, Betty Ross, and she may be returning to her old Red She-Hulk form. Bruce’s gamma-powered psychiatrist Doc Samson also returned from the dead. Now it seems another former friend of Banner’s is coming back from beyond the grave. But he may not be the friend Hulk remembers. 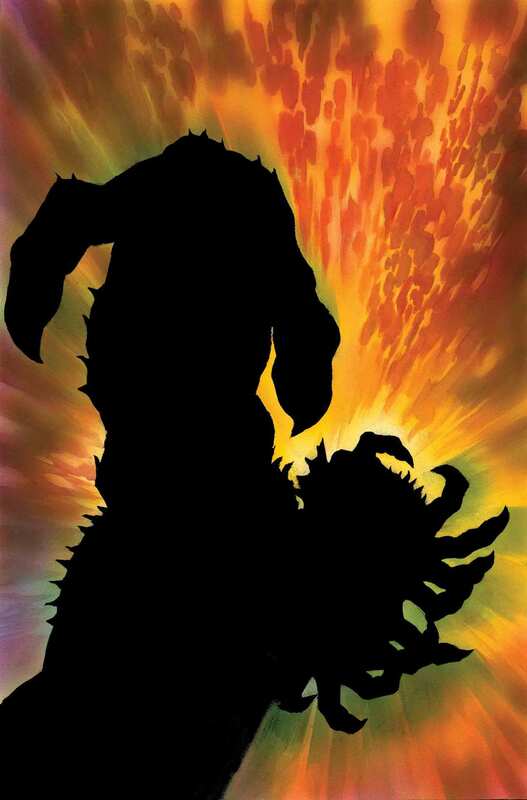 Instead, based on solicitations from Marvel Comics, this may the thing that turns the Hulk into the hunted. It all begins in the latest issue of Immortal Hulk. SPOILERS for Immortal Hulk #15 follow. Al Ewing writes the issue, with art by Joe Bennett, inks by Ruy José, colors, and colors by Paul Mounts. Who could that friend be? There may be a clue in today’s Immortal Hulk #15. The issue begins with Hulk fighting Doc Samson. Hulk comes to his senses and he and Samson begin searching for Betty Ross, who went missing after she was shot in the head. Or at least that’s what Samson thinks they’re doing. Samson asks the Hulk questions about why he and all the other gamma-powered Hulk heroes seem to keep waking up after dying. 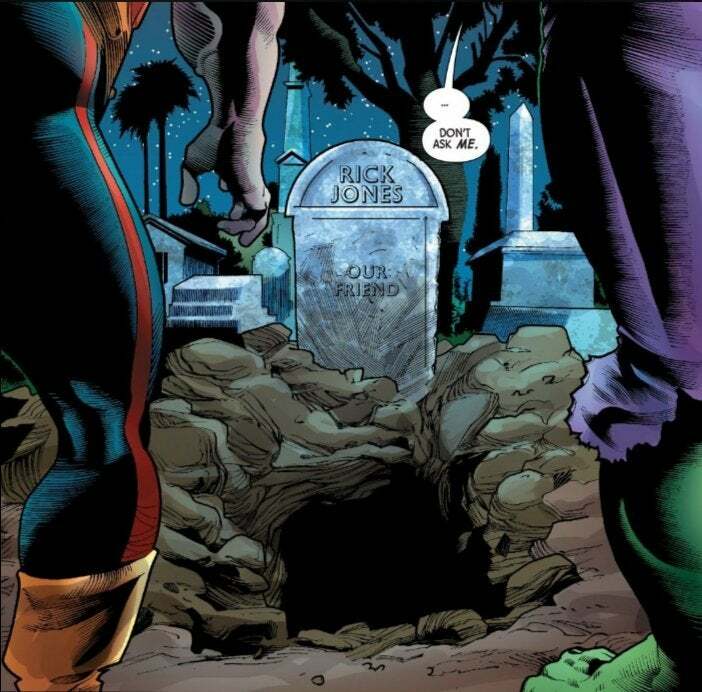 This causes Hulk to investigate the grave of his old friend and sidekick Rick Jones. He and Samson find the grave empty. Like the other gamma heroes, Jones seems to have gotten better after death. Has he become A-Bomb again? Is he now hunting the Hulk? Fans will have ot keep reading to find out. Immortal Hulk #15 is on sale now. The solicitation text for Immortal Hulk #19 follows. Something is coming for Bruce Banner. Something that can smell him wherever he hides. Something that will never stop hunting. It wears the face of a friend — but all it feels is hate and hunger, burning in the core of every cell. Ask yourself...what’s more terrifying than the IMMORTAL HULK?